When she snapped this photo, my friend Sharon didn’t realize she was peeking into the bedroom of two Barbados crabs. Sharon wrote me, “I was with my mom at Tapas for lunch. We were seated upstairs. 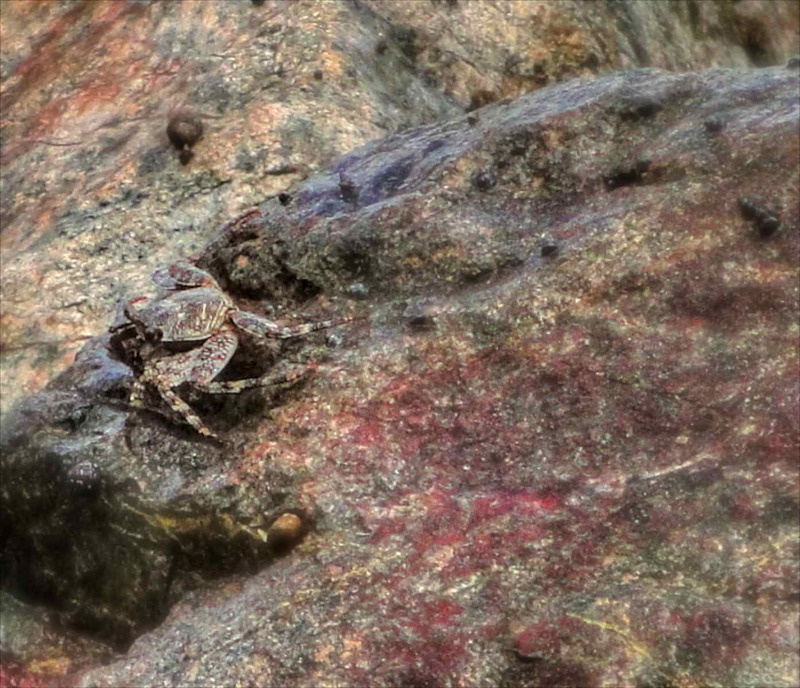 My mom looked down at the sea and asked me to take a photo of one of the many crabs hanging out on the rocks. Ahhh, yes, without question our beaches in Barbados are beautiful. And they do inspire love. Or at least lust. Crab love: getting it on in Barbados. They’re just doing what comes naturally…… lovely post! I hope I can get away with this un 4 weeks with no pictures being snaped.